There is no quicker way to brighten a room or your day than to add a little color. Canadian artist and yogini, Diane Woodward takes it a step further than that... well actually, several steps further, and the result is spectacular! Describing herself as a "maximalist" painter, Diane declares, "Hot pink is my neutral." I first met Uma, as Diane is also known, at the Sivananda Ashram in the Bahamas. She was my next door neighbor in the tent city we called home for a month during our Yoga Teacher Training Program in 1997. Aside from being a fun and lively friend, she was, in many ways, my mentor. Not only was Uma more familiar with Sivananda Yoga, her fearlessness and radiant creativity were just the influences I needed in those uncertain and intense weeks of headstands and sun salutations, plus the total immersion into the traditional yogic lifestyle and philosophy and the sensory overload of colorful Hindu deities, exotic Sanskrit chants, and deep, deep self-reflection. When I happened to catch this re-run on Steven and Chris featuring her beautiful and colorful home, I knew I had to share it with you! Also check out Part One and Part 2 of this Comfort Country Interview. And this feature on Cottage Cheese. I hope you find them as delightful and inspiring as I do! Enjoy! 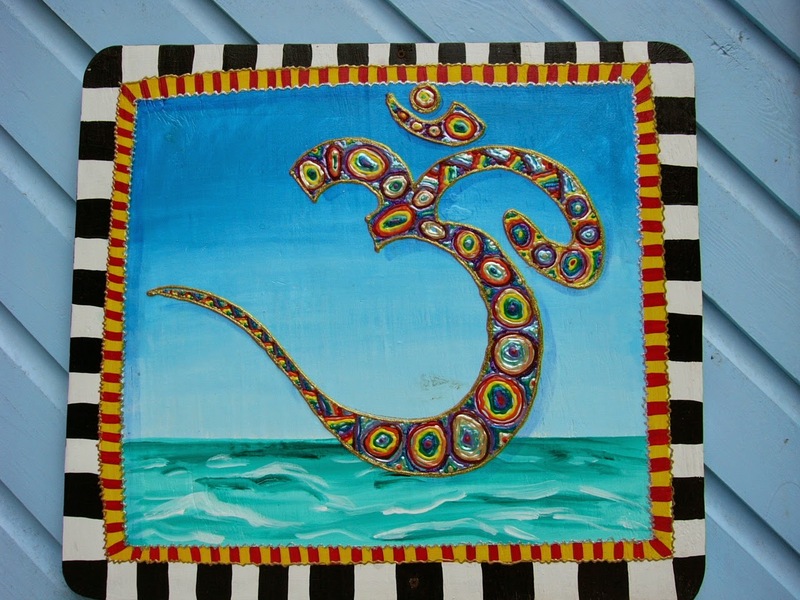 Thanks for your post on the colorful and creative Uma/Diane Woodward. She is an amazingly prolific artist and yogini.... always smiling. Natural Cleaning: Have You Tried Soapnuts? April 22, 2015 is Earth Day! I Missed Stress Awareness Day?! ?